Kristina England is the 2005 recipient of the David A. Kennedy Prize for Outstanding Poetry at the University of Massachusetts Boston. She earned a BA in English at Assumption College and an MA in English at the University of Massachusetts Boston. She founded and facilitates the Poetry Happens Workshop for local poets and serves as the secretary of the Board of Directors at the Worcester County Poetry Association and an Assistant Editor of the Ballard Street Poetry Journal. Rushelle Frazier is a permaculture designer, gardener, herbalist, teacher, and spoken word and visual artist based in Worcester, MA. She has been involved with poetry–page and stage–for the past decade, hosting poetry readings, workshops, and other cultural events. Rushelle is a member of the 2002 and 2015 Worcester Adult Slam Team, co-coach of the 2004 Worcester Youth Slam Team and the 2010 Savannah Youth Slam Team. She is the host of The Hot Spot at Nine Dot Gallery in Worcester, MA. She has self-published seven chapbooks and recorded one poetry CD. Her latest release, Heavy Honey, is for sale at Doublebunny Press. Carle A. Johnson hosts the Worcester Barnes & Noble Bookstore Open Mic and the Sugden Writers Workshop in Spencer. Since 1989, he has been an editor of the WCPA's The Worcester Review. He was the founding editor of the WCPA's Poetry Newsletter in 1979 and has produced and hosted over 100 original TV programs, "Poets-In-Profile," for WCTC-TV, Worcester. He organized the Stanley Kunitz 80th Birthday Festival in 1985 and the 2005 Stanley Kunitz Symposium at Clark University. He was the Executive Director of the Elizabeth Bishop Conference and Poetry Festival, which received the Worcester Telegram & Gazette 1997 Visions 2000 Cultural Enrichment Award as the outstanding cultural event in Worcester for 1997. Carle has studied at the Bread Loaf Writers' Conference and with poets Sam Cornish and Kathleen Spivack. He has published articles on poets and has lectured on poets and poetry throughout New England. He has had poems in Concrete Wolf, Sahara, and TWR, among others. Jessica Knauss is a fiction writer with editorial experience at small presses. After a BA in writing at Wheaton College, she obtained an MFA in Translation at the University of Iowa, an MA in Medieval Studies at the University of Leeds, and a PhD in Medieval Spanish Literature at Brown University. Originally from California, she's lived in places as far afield as Arizona, Illinois, North Carolina, and Spain. She does bilingual copyediting at Victory Productions in Worcester. Find out about her publications, medieval history, and the efforts to save the rhinoceros from extinction at her blog: jessicaknauss.blogspot.com. 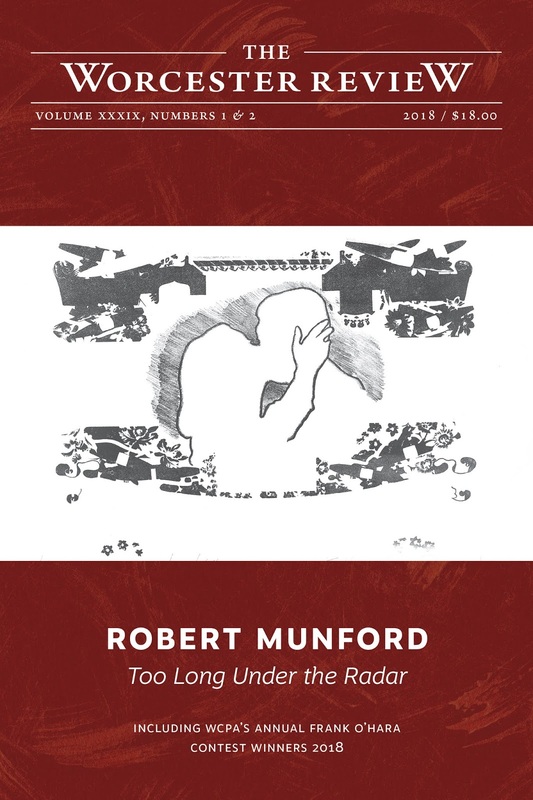 Rodger Martin's The Battlefield Guide (Hobblebush, 2010) is his third book of poetry. He is the recipient of two National Endowment for the Humanities Fellowships, a Council for Basic Education Fellowship, a New Hampshire State Council on the Arts Fellowship in fiction, and the Appalachia Prize for poetry. 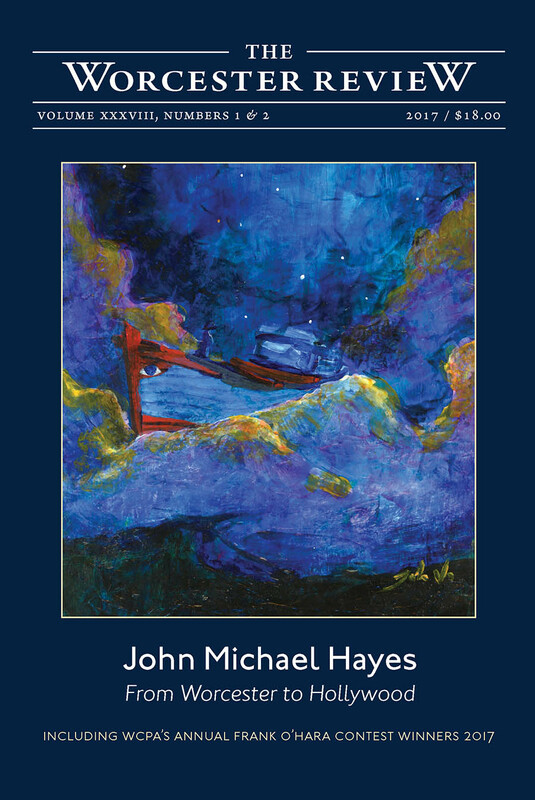 His poetry, fiction, and criticism have been published throughout the United States and in China, where he has been anthologized in Selected Poems of Contemporary American and European Poets. While Rodger was managing editor, The Worcester Review received both a National Endowment for the Arts grant and a number of Pushcart nominations. Martin also is the New Hampshire State Director of Poetry Out Loud and teaches journalism at Keene State College. Rodger, now editor emeritus, was managing editor for 27 years. Nicholas McCarthy is a recent graduate of Boston College, currently attending Worcester State for his masters in English. For the past decade, he has been writing poetry inspired by nature, life, and classics. Kate McIntyre is an assistant professor of creative writing and literature at Worcester Polytechnic Institute. She came to Worcester from Columbia, Missouri, where she was the managing editor of the Missouri Review. Her fiction and essays have appeared or are forthcoming in journals including Denver Quarterly, the Cincinnati Review, Copper Nickel, and the Cimarron Review. She has a Notable Essay in Best American Essays 2014 and a Special Mention in the 2016 Pushcart Prize anthology. She is a graduate of Harvard University, Oregon State University (where she earned her MFA) and the University of Missouri (where she earned her PhD in creative writing and literature). Laurie D. Morrissey lives in Hopkinton, New Hampshire, where she writes nonfiction and poetry. Her poetry has appeared in The Worcester Review, Poetry East, Blueline, The Aurorean, Common Ground Review, Modern Haiku, Frogpond, Acorn, Bottle Rockets, Akitsu Quarterly, and The Northern New England Review. Her articles and essays appeared recently in publications such as Kearsarge, Connecticut Woodlands, Atlantic Coastal Kayaker, and New Hampshire Business Review, and she is a frequent contributor to “The Outside Story,” a series of ecology articles that appear in newspapers across New Hampshire and Vermont. She is the former director of editorial services at Saint Anselm College. Diane Vanaskie Mulligan has been an English teacher at St. John’s High School in Shrewsbury, MA, since 2002, where she also serves as the director of the Betty Curtis Worcester County Young Writers’ Conference. Diane is the author of three novels, most recently What She Inherits. Her poetry has appeared in English Journal, Her Mark 2008, and Ballard Street Poetry Journal, among others. She is a graduate of Mount Holyoke College and earned her master’s degree at Simmons College. She lives in Worcester. Sam Paradise is a fiction writer. A native of Worcester County, she is involved in the writing programs at WAM and is a founding member of Penlight Writers, established 2008. She was a finalist in the 2012 World's Best Short-Short Story Contest, and her story “At the Liberty Motor Inn Motel” will be published in the spring issue of the Southeast Review. Her reading interests are broad and include all genres of fiction, nonfiction, and poetry. She is a great admirer of the short fiction of Flannery O’Connor, E. B. White, Truman Capote, Richard Brautigan, and Joyce Carol Oates. Laina Mullin Pruett’s fiction has appeared in the Spring 2012 issue of The Gettysburg Review, the Winter 2014 issue of Prairie Schooner, and in the BU alumni journal, 236. She was in residence at Yaddo during summer 2014, is a recipient of the Glenna Luschei Prairie Schooner award, was a 2011 Robert Pinsky Global Fellow, and is a fiction editor at The Worcester Review. She holds an MFA in fiction from Boston University. Laina lives in rural Massachusetts with her husband and young son. Karen Elizabeth Sharpe is a poet and writer from Sterling, Massachusetts. Karen was selected by Marge Piercy for the sixth annual Marge Piercy Juried Poetry Intensive in June 2015, and the inaugural Marge Piercy Returning Poets group in October 2016. She is finalizing her second book of poetry, Geography of Ruin. Parker Towle's second collection of poetry, World Spread Out, was released in April 2015 by Antrim House Press. Parker was born and raised in Holden, Massachusetts. His degrees are an AB (English) from Yale University, an MD from University of Vermont College of Medicine, and an MFA (in poetry) from Vermont College of Norwich University. He practiced neurology in the Boston area for 14 years and taught at Harvard Medical School, and for the last 29 years he's practiced in northern New Hampshire and taught at Dartmouth Medical School. He served on the board of the Frost Place in Franconia, New Hampshire, for 25 years. He's published 185 poems in magazines, and three chapbooks of poems. His first full length collection of poems, This Weather Is No Womb, came out from Antrim House in 2007. He edited an anthology of previously unpublished poems of others from Andrew Mountain Press in 2000, and special issues of The Worcester Review on the poets Frank O'Hara (2001) and Stanley Kunitz (2005).